This is a great book. 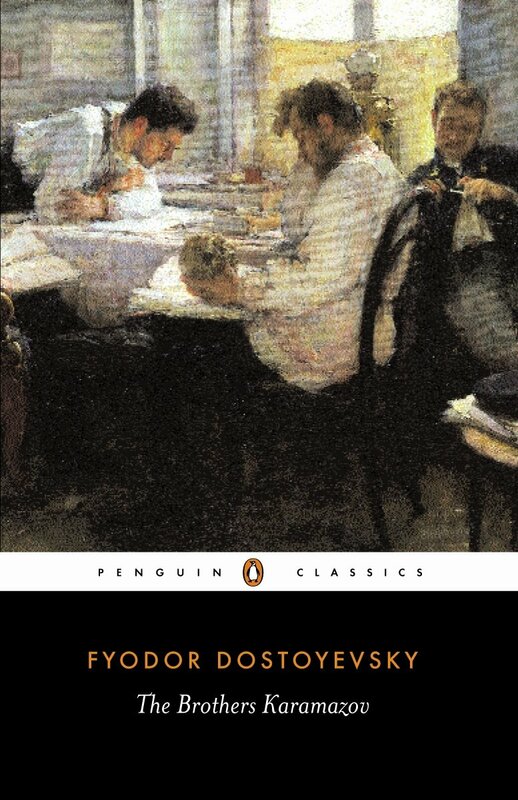 That’s a generic thing to say, but in sincerity, in depth, in ambition, and in intelligence very little else I’ve read comes close to The Brothers Karamazov. This is a novel with that strange, intangible quality that makes you put it down occasionally, stare into space, and say ‘wow’. Fierce is a good word for this novel. It’s also often funny, but you always take the characters seriously. There’s absurdity, but just enough to keep things entertaining without being ridiculous and never so much that you’re pulled out of the narrative. It’s like a friendly but drunk man is confessing his difficult life story: he might occasionally slur some words, and he makes you laugh at times, but you can tell that he feels every word is important. There are so many disparate elements floating around for the first four-hundred pages that it was difficult to imagine how they could ever coalesce, and there are slow moments even further on in the book. But everything, by the end, was tied together. Moments that could come across as saccharine are tinged with significance, as there’s such a strong moral centre that you buy them, sentimentality and all. The extreme natures of the characters are revealed as expressing the horrific depths that emotion can plunge us into. Their intensity reveals the consequences of suffering in daily life, and the difficulty in being good. This is all also very entertaining to read about which is a hard thing to pull off, especially in a book this long. This thing is just fun. Imagine a soap written by one of the smartest people who ever lived and you’ve got the idea. The Karamazov brothers are three of the most acutely drawn characters in existence, particularly Ivan, who is the crux of two of the best chapters — ‘The Grand Inquisitor’ and ‘The Devil’. But it’s hard not to love Alyosha, who is almost absurdly sensitive, but also clever, trusting, and wise. Dmitry is incredibly intense in every aspect, but honest and with a strange sense of honour that’s engaging to read about. Ilyusha’s introduction in Book X, where Alyosha meets a group of schoolchildren who are throwing rocks at a classmate, was, however, the moment when I realised this was going to be a book I’ll be happy to revisit in the future. I know I’ll get something new out of it every time I pick it up again, wherever I am in my life.